We knew there was an old well on the property, because our house at some point converted to city water (yay!). However, we didn’t know where the well was located. 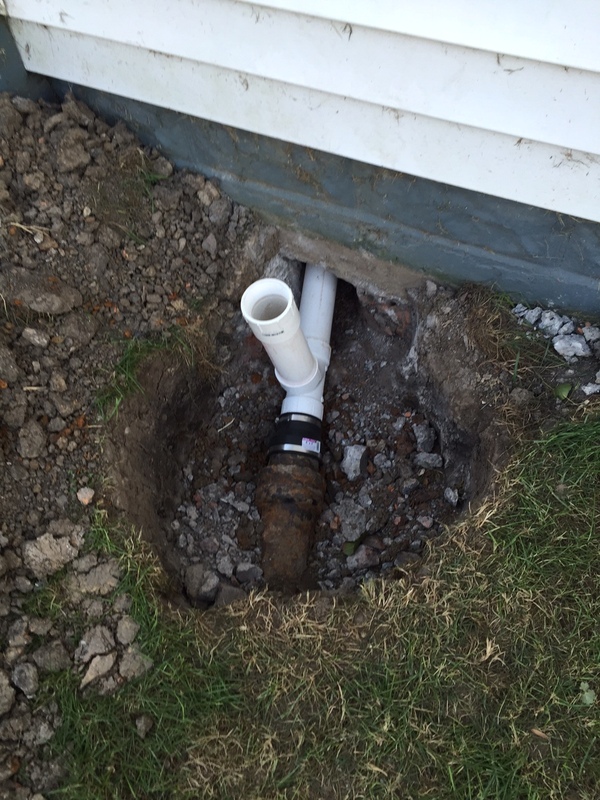 Ryan got a call last week, from the contractor, saying they had found the old well. They measured the depth of the well and it was 45 feet deep, and it was the reason our house had this unique smell to it. 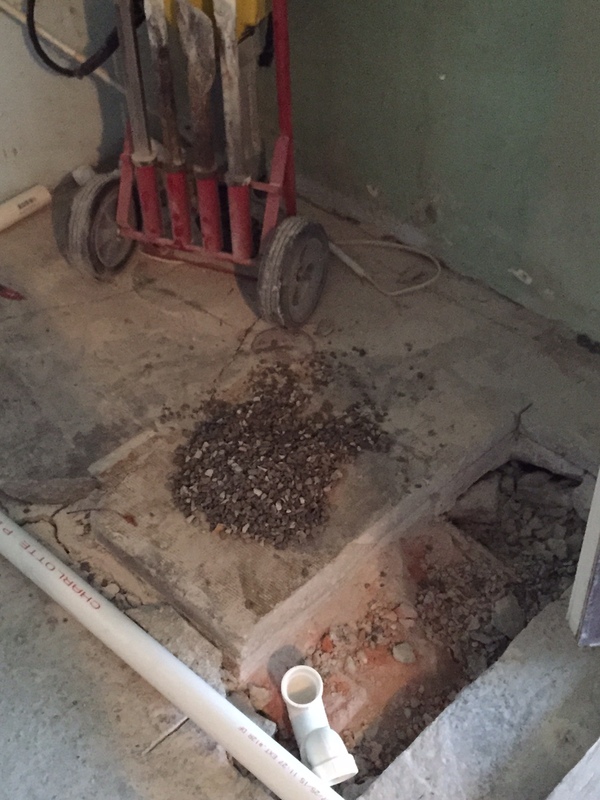 Our contractor told us we could fill the well in with gravel and then top off with concrete. 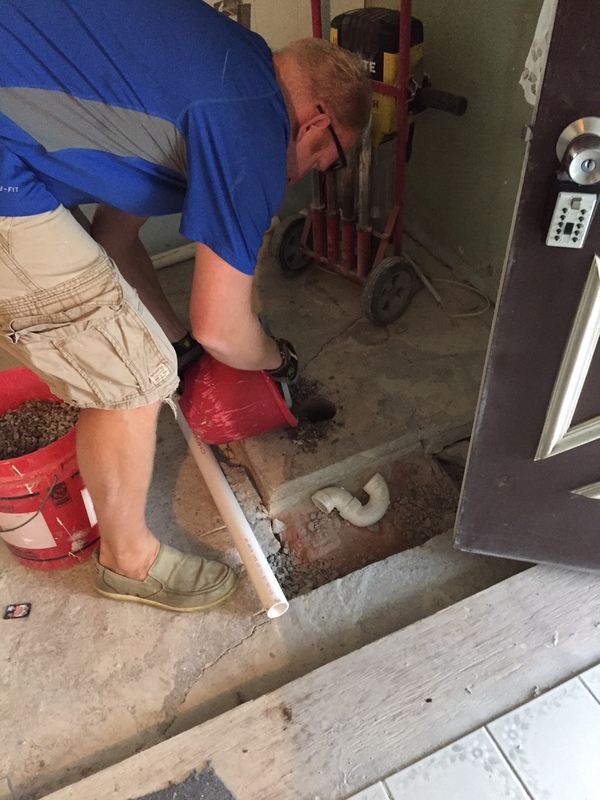 The well was located under a rug that was in front of our washer and dryer area. 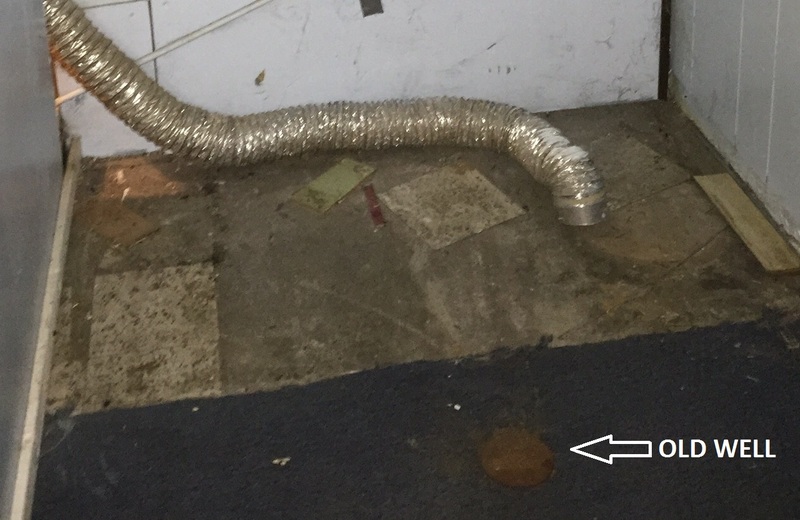 I had always just thought it was a drain. 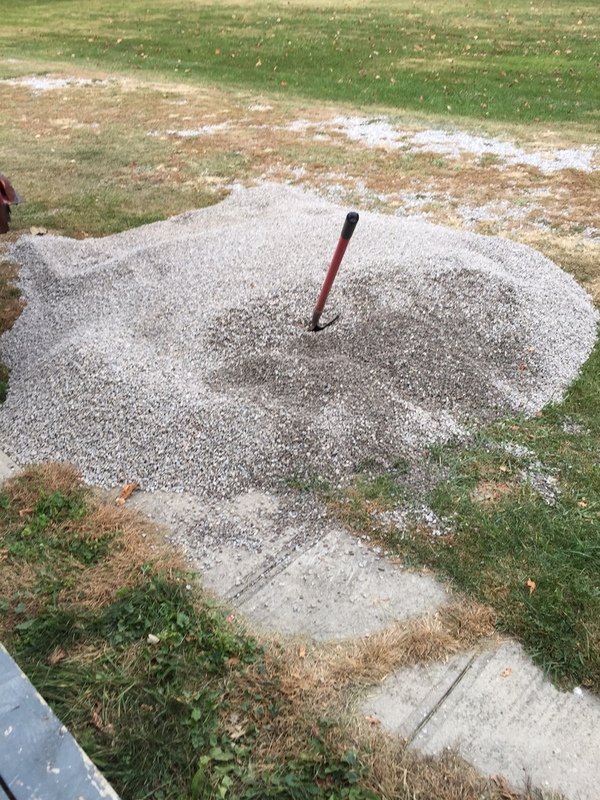 Our contractor had gravel delivered and Ryan and I started to fill in the well. After 10 buckets it was filled, and we were left with almost all the gravel that was delivered. 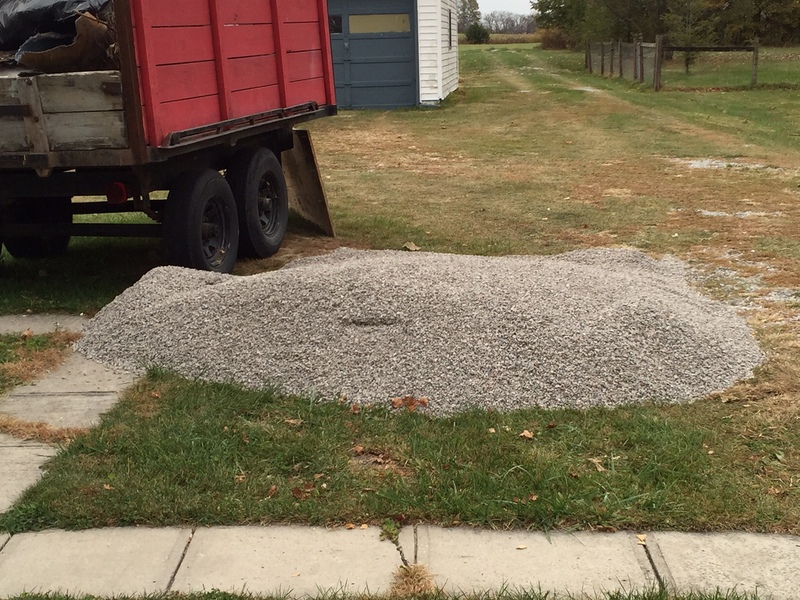 The amount of gravel estimated needed was way off, good thing we need to put new gravel down on our driveway! 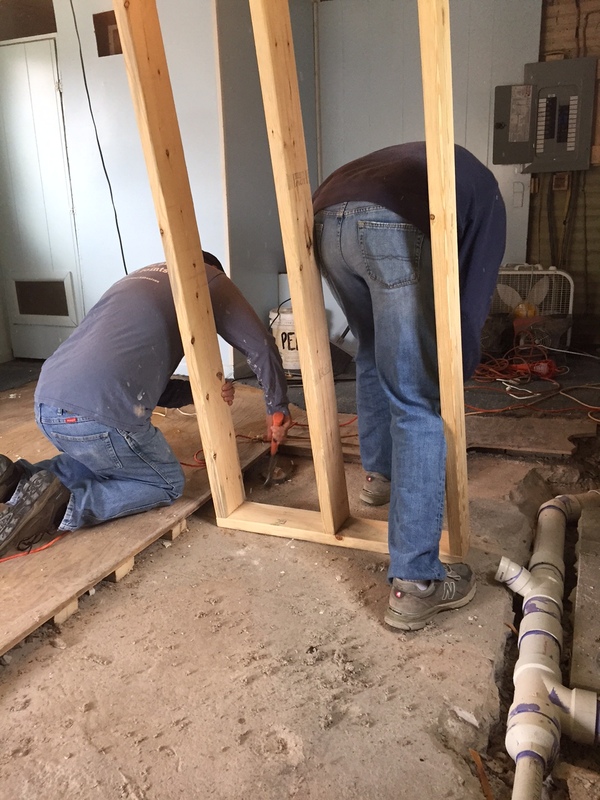 The plumbing is almost all done, but before the plumber could finish Ryan needed to frame one wall of the full bathroom we are putting in the mudroom. 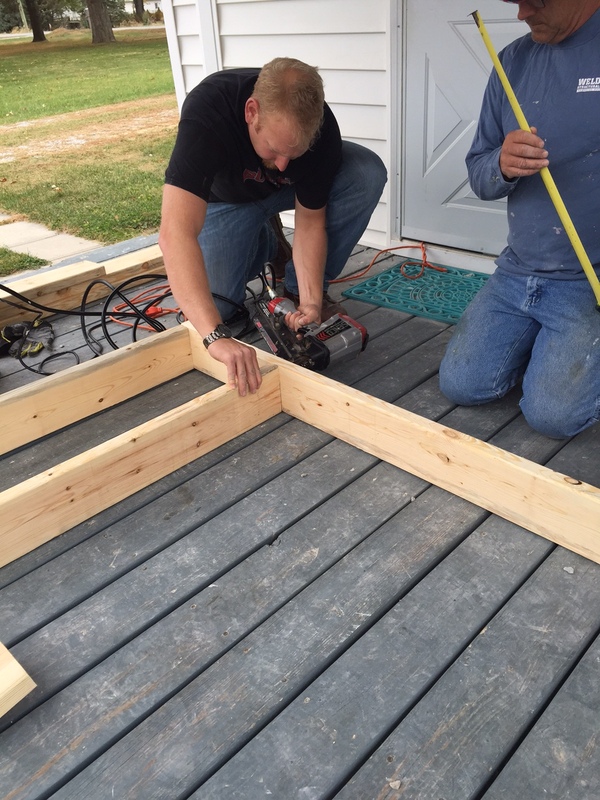 He enlisted my dads help, as well as his dad, because he has never framed a wall before. 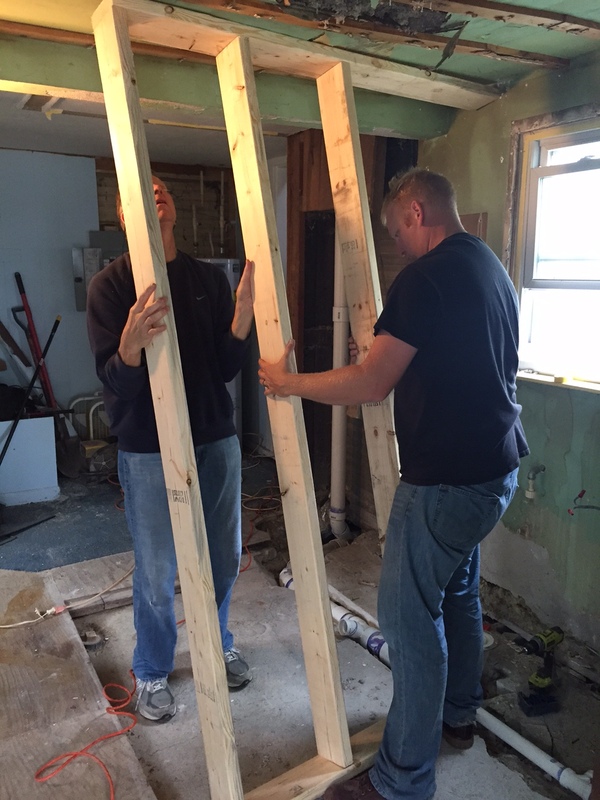 Our ceiling was of course not level, so it took a lot of elbow grease to get this frame into place and level. Here you have it, the framed wall! 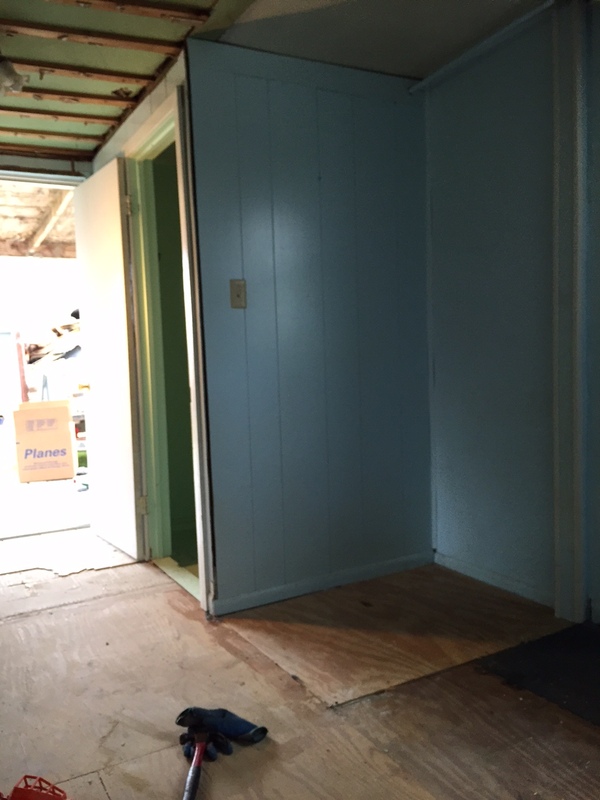 To the right of the frame will be the full bathroom, and to the left the laundry area. 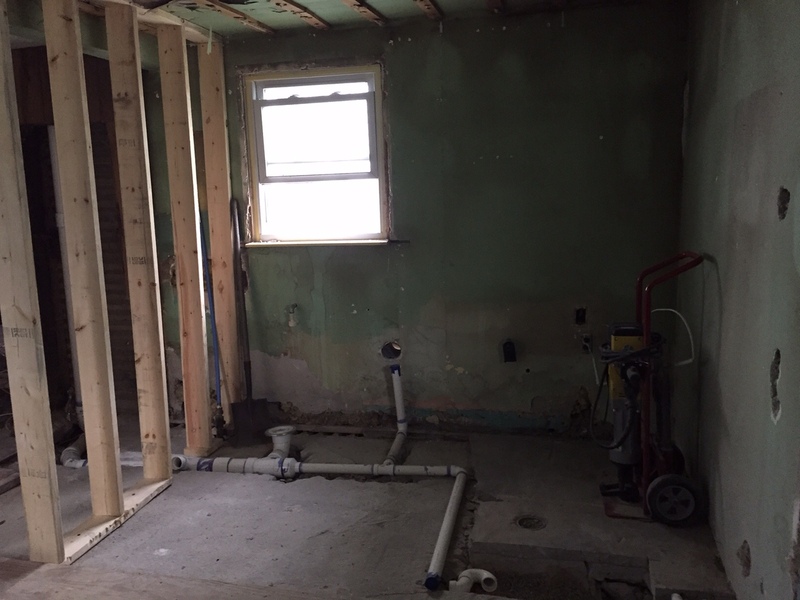 The plumber needed this wall up, so he could finish the plumbing for the washer and then we are all set to be inspected. 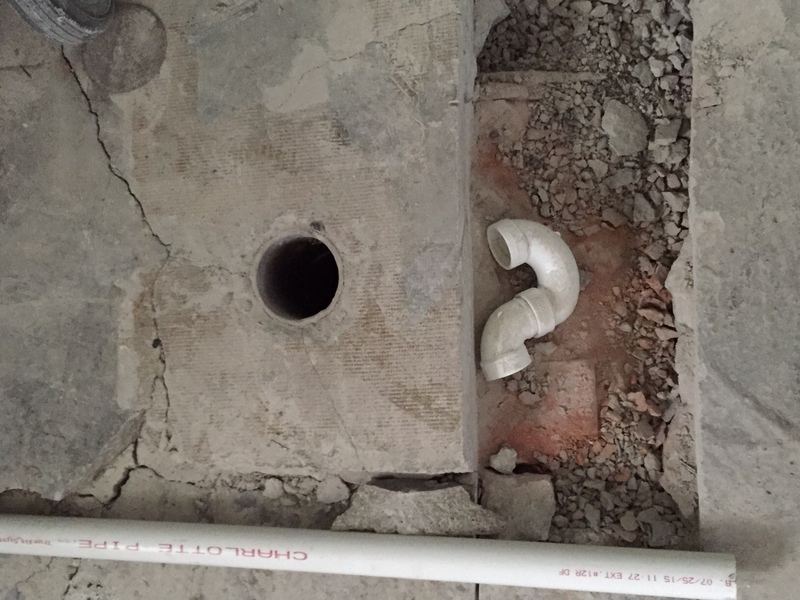 Here is our new plumbing connecting to the old cast iron plumbing on the outside of our house now! 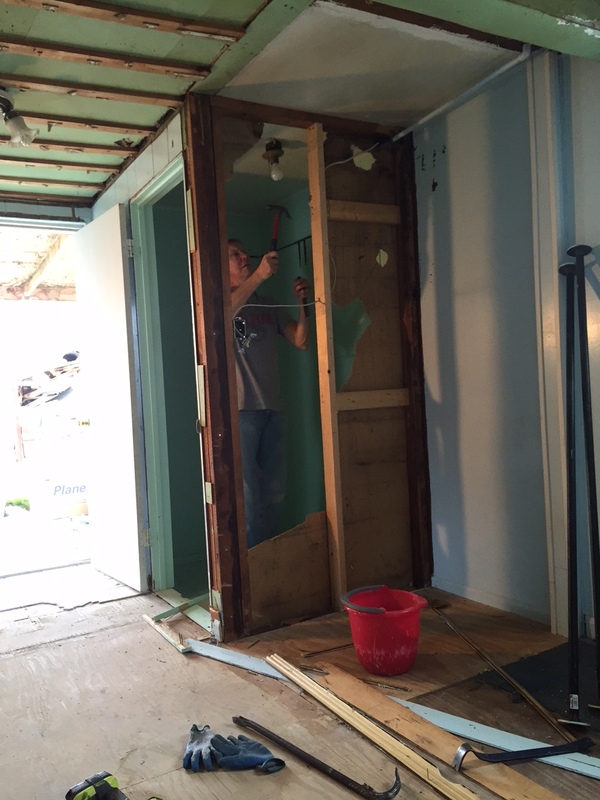 The only other thing we have worked on this past week is removing the closet in the mudroom. 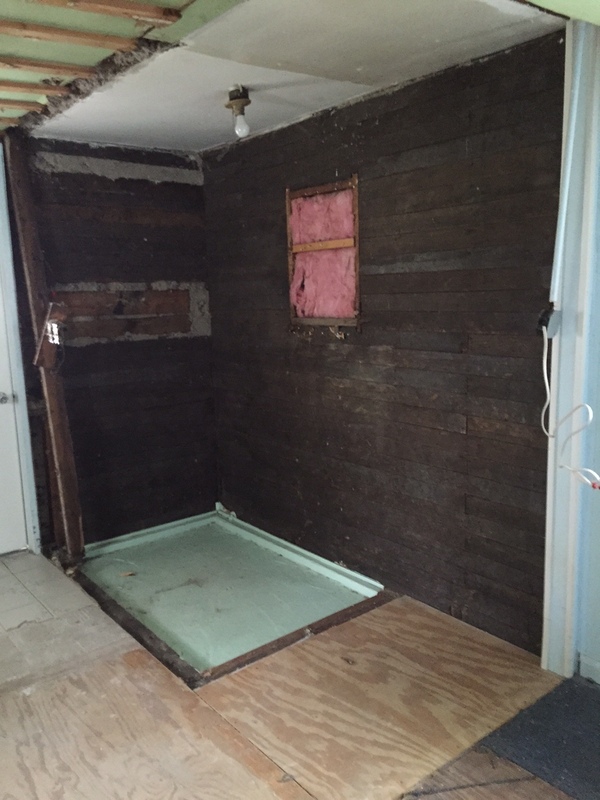 This closet will be replaced by a locker/storage system. 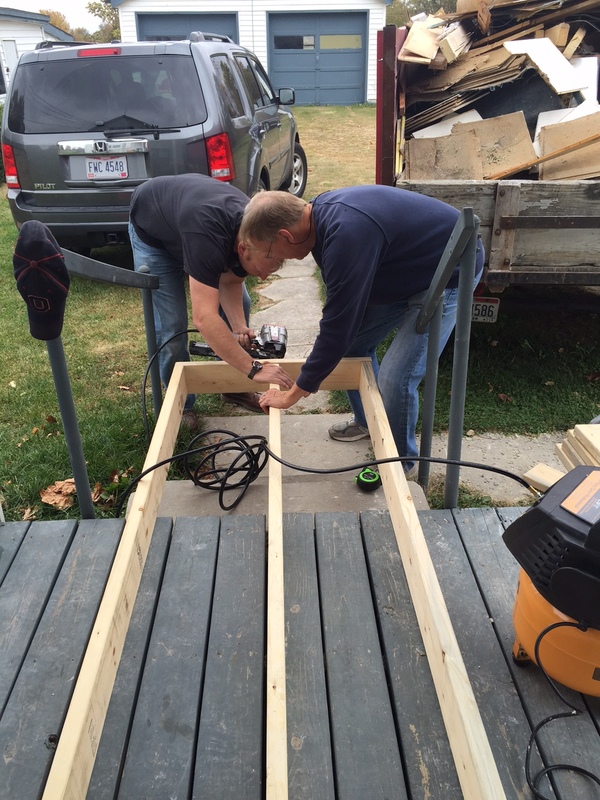 It will allow the room to be more open, and not feel so closed off. 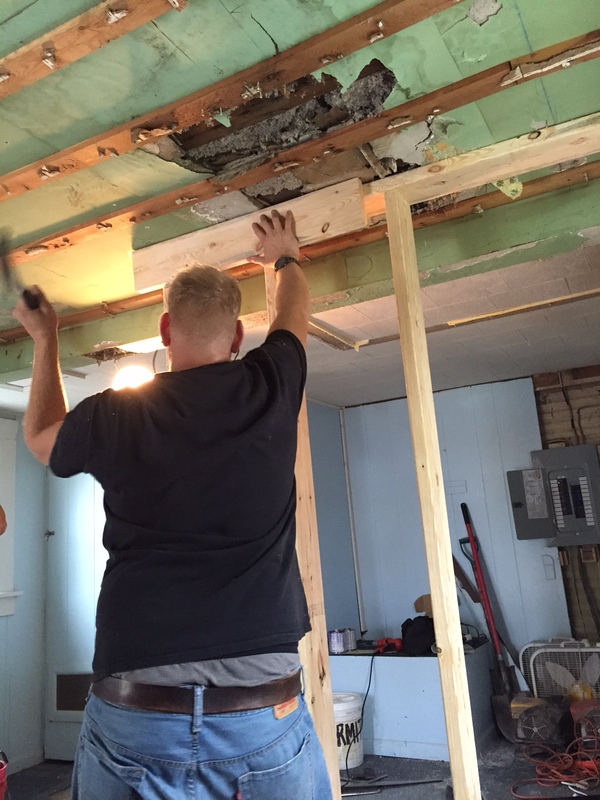 Short post this week, but we are just chugging away, and hopefully we will be back into our house sooner then later.